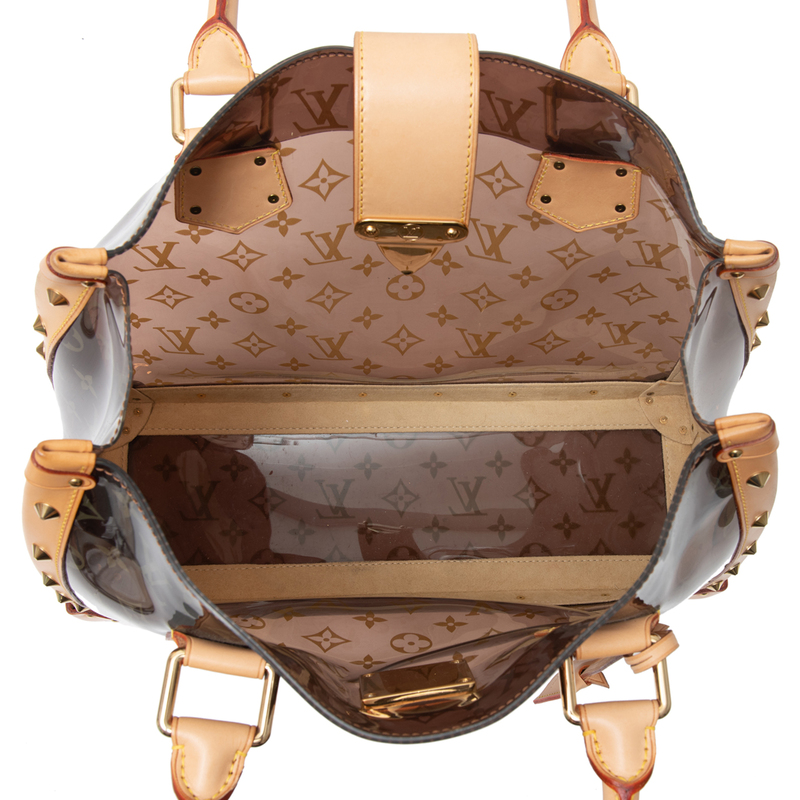 Don’t miss out on your opportunity to own this rare and limited edition Louis Vuitton Limited Edition Monogram Ambre Neo Cabas Cruise Bag. 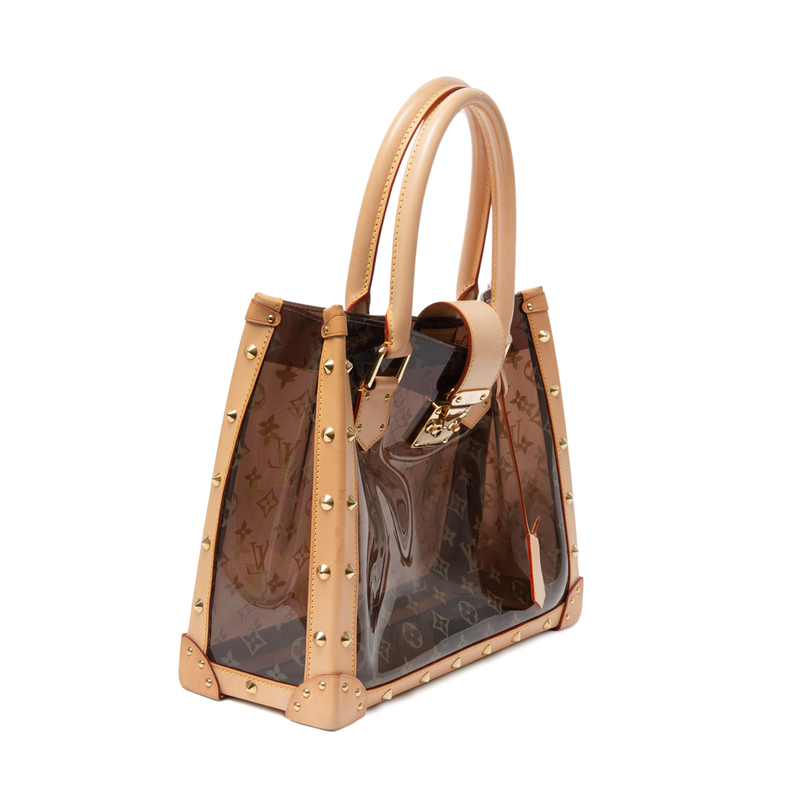 This large transparent bag has the iconic monogram pattern on vinyl and trimmed with vachetta leather that is adorned with goldtone studs. 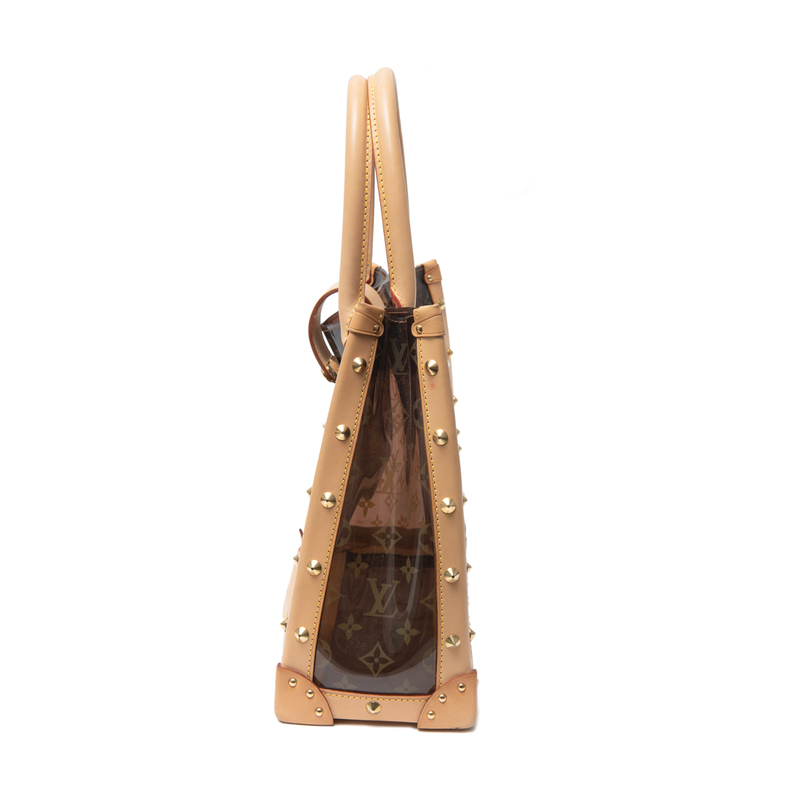 It features a gorgeous structured shape and comes with a clochette and keys. 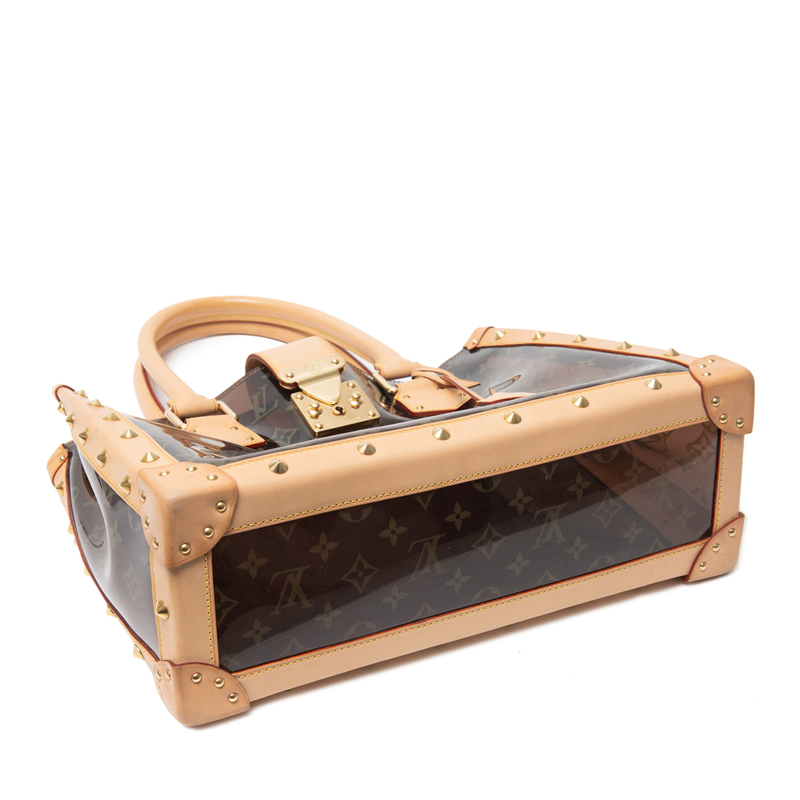 A definite fave for LV collectors everywhere. 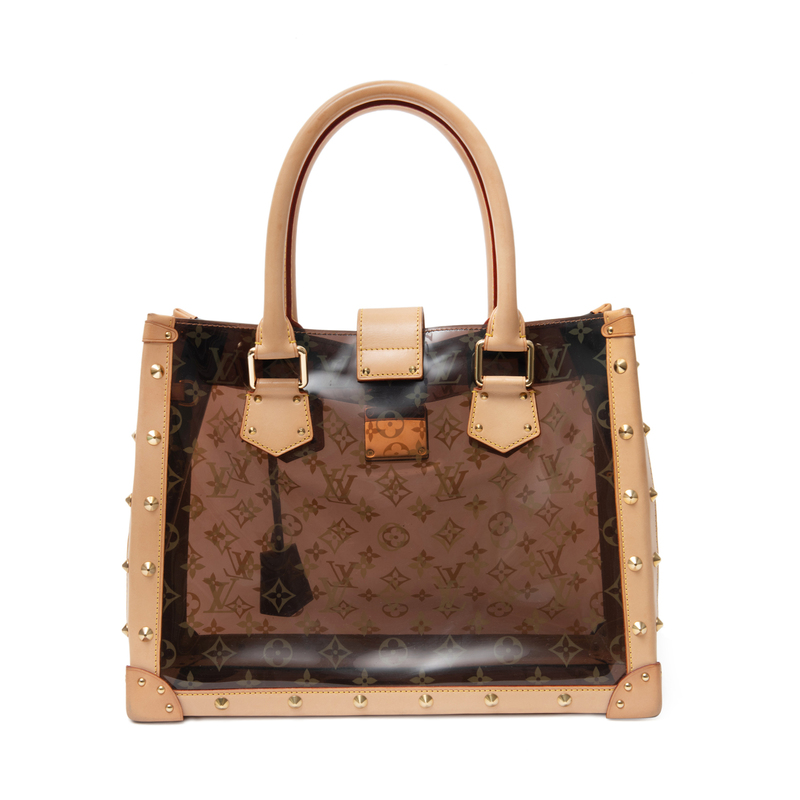 Exterior: The exterior vinyl is clean and beautiful with only faint scuff marks throughout. 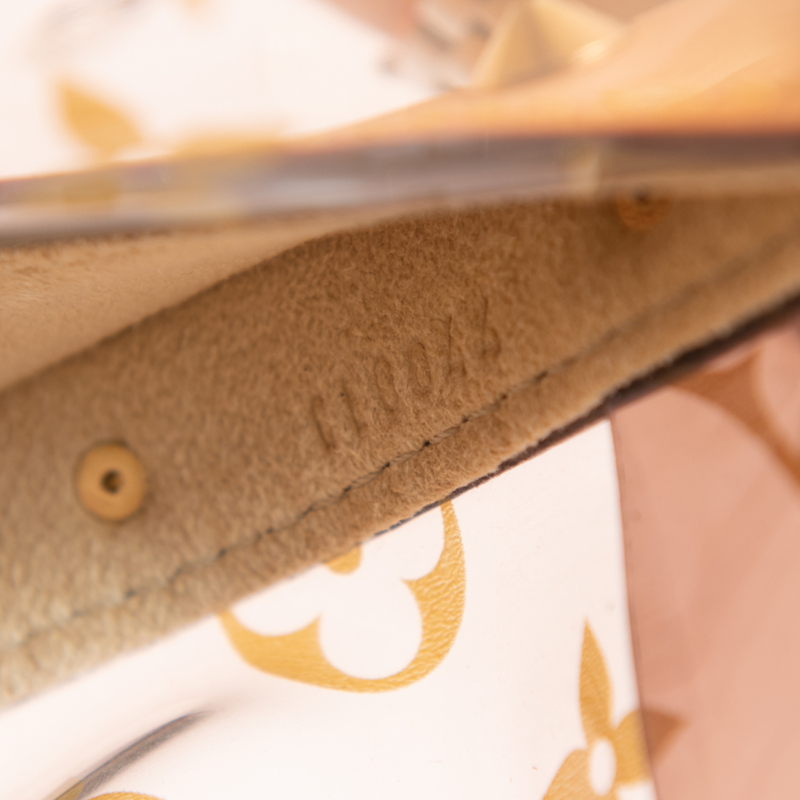 The leather has developed a light patina on the edges of the bag. 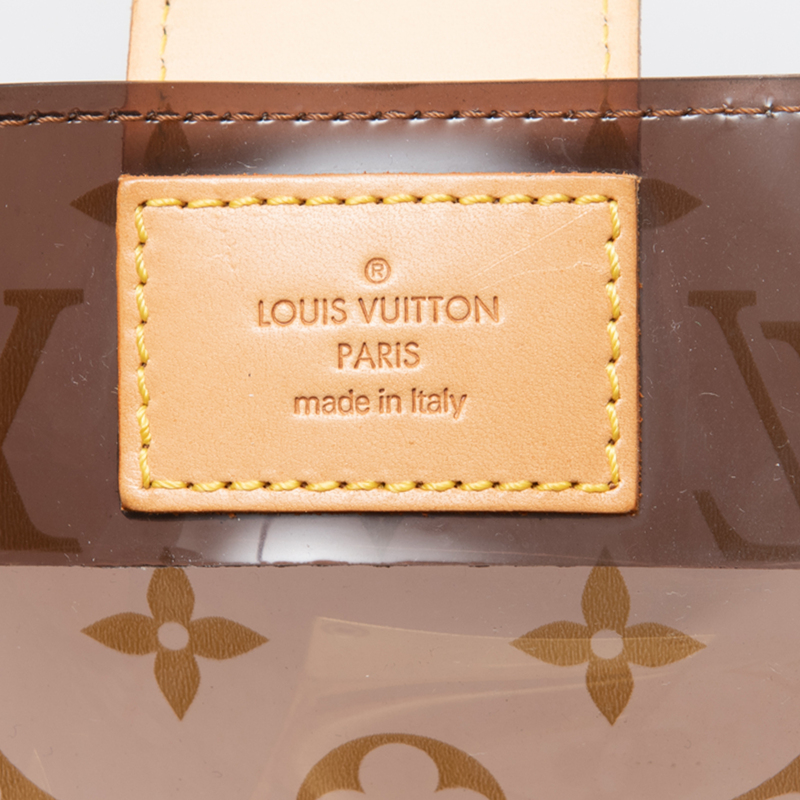 Along the base of the bag the leather has scuffing and light wear, mostly in the corner edges. The handles have minor signs of wear. Interior: The interior vinyl has some scuffing, but otherwise is clean and still in good condition. Hardware: The gold-tone hardware has very light surface scratches, but is still bright and shiny!